Balance transfer fee is 3% and this is not bad at all. 10.99 introductory APR for balance transfers. It is available for 14 months. There is no annual fee of the card. Despite of being a secured card, this card provides cash backs and bonuses (cash back matches) for consumers. You will need to call Discover It Credit Card Customer Care service to know about foreign transaction fee situation of the card. All interest rates are high. Cash advance fee of the card is high. 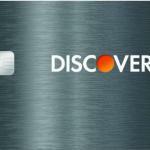 Discover Secured Card is one of the rare secured credit cards which is providing cash back and bonuses their consumers. Despite of high interest rates this card is providing good amount of bonus for gas and restaurant purchases. This is limited though. You can find our review for the each features of Discover Secured Card below. If you have any questions, please don’t hesitate to ask us. Interest rates of the card is a little bit high. However we believe that it is because of rewards and cash back match features of the card. Purchase APR is 25.24% on Discover Secured Card. Cash Advance APR is 27.24%. Both interest rates are high. However there is an introductory period on Balance Transfer for 14 months. This can help you to save lots of money if you are going to transfer. It is 10.99% in introductory period. The regular balance transfer fee is high as well with 25.24% rate. Discover it hasn’t make any statement for foreign transactions. So it is unknown that how much you will need to pay for this feature. 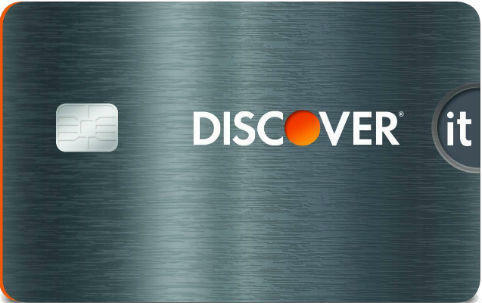 You will need to contact Discover it before applying the card. One of upsides of the card is that it doesn’t require you to pay annual fee. Balance Transfer Fee is reasonable but Cash Advance Fee is high with minimum $10 and maximum 5% rates. These fees can be more than interest rates at times. So you need to think about them twice. There is 2% limited bonus for gas and restaurant purchases. The limit is $1000 in three months. You can earn 1% cash back to all other purchases with this card. This is a unique feature for this card because secured cards are not generally include rewards and bonuses. The best part of this card is bonus. You will earn cash back match at the end of the year. It means if you collect 12100 bonus in a year, you will be rewarded with 12100 bonus. Despite of this good features, the card is still considerable because of high interest rates though. 25.24% 2% cash back on gas and restaurant purchases. This is limited with $1000 per 3 months. 1% cash back unlimited to all other purchases. Cash back match at the end of year. None Unknown $10 or 5% 27,24% 3% 10.99% for first 14 months.